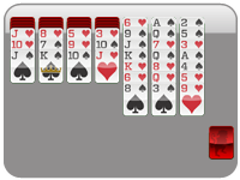 Scorpion Solitaire is a derivative of spider solitaire and wasp solitaire--only it is much more difficult. 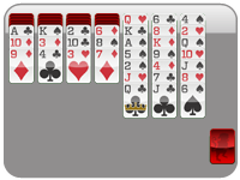 The goal of the game, just like spider solitaire, is to create 4 stacks of similarly suited cards, from Ace to King. 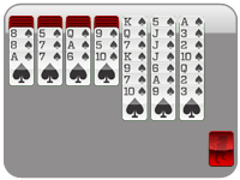 These stacks are removed from the game as they are built, freeing up your ability to create further stacks with the cards that are now available to play. This scorpion solitaire even has an "undo" button and a high-score feature, making it fun and easy to play, while giving you room to grow into a scorpion solitaire champ.